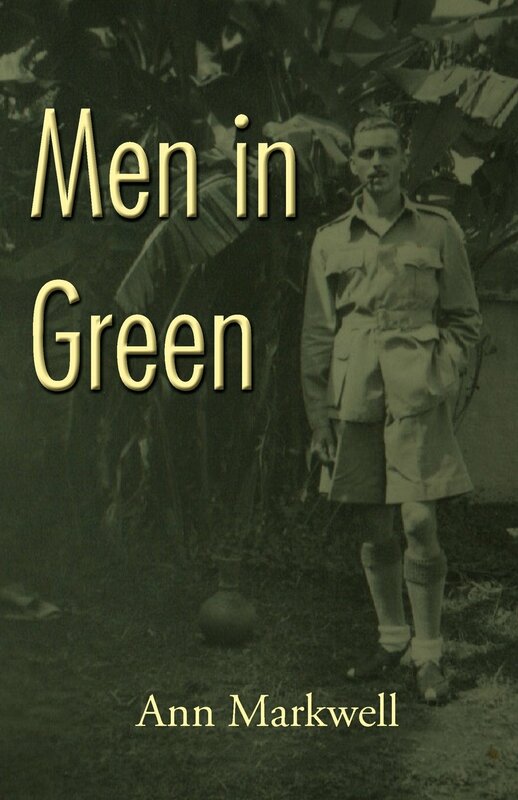 I’ve recently read the book Men in Green, the diary of a soldier serving in Burma during the Second World War. Written during his service, this book covers Private John’s day to day experiences, conversations with friends and thoughts during his time in Burma. It has been published by a former client of mine, Ann Markwell, who is the niece of the extraordinary Private Richard John. She remembers her Uncle Dickie fondly. While it’s scant in dates and names of regiments, the diary is full of the details of the daily life of a soldier in the jungles of Burma. Private John began as a despatch rider, but was later sent to the front line to work with the signallers. He and his Company endured great hardship and lived through harrowing episodes, but the bravery and courage of the soldiers is what endures throughout the book. This entry was posted in Family History Hive, War on 20 September 2014 by ellen.